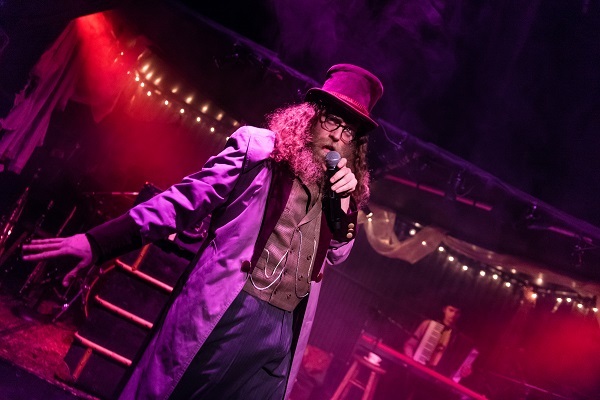 Can’t wait to see Old Stock: A Refugee Love Story, the dark, funny and high-energy klezmer-folk tale inspired by the real-life story of two Romanian Jews seeking refuge in Canada in 1908? Here are five books about Jewish diaspora experiences from around the world that help set the scene. Michael Chabon’s gripping and often humorous novel focuses on cousins Sam Clay, a young aspiring novelist living in Brooklyn with his mother, and Joe Kavalier, who comes to live with them after he escapes Nazi-occupied Prague in 1939. The two cousins soon become friends and start working together on a comic book about a superhero called ‘The Escapist,’ who fights Nazis and helps the oppressed people of Europe. The novel depicts their rapidly changing lives, including their relationships with different women, but also their rising concerns about what is happening in Europe. This book is as much a depiction of Jewish diaspora life in the shadow of World War II as it is a homage to the Golden Age of the Comic Books. Listen to Michael Chabon talk about his book here. Linda Grant’s novel focuses on a slightly different diaspora experience. 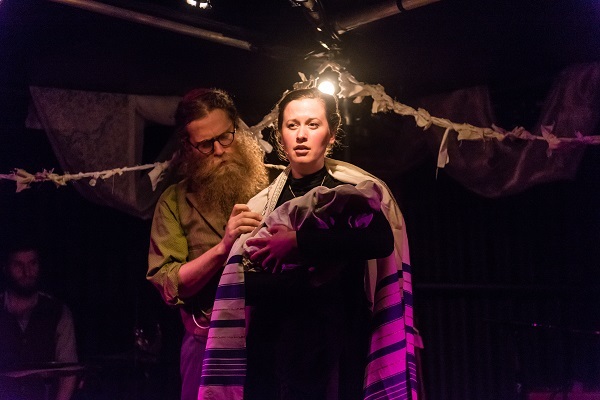 She tells the story of Evelyn Sert, a young Jewish woman who grows up in London to a Jewish mother and an unknown American father. When her mother dies and she runs out of money, Evelyn decides to immigrate to Palestine, hoping for a better life. After living on a kibbutz, she moves to Tel Aviv and reinvents herself as a British hairdresser named Priscilla. Living in Palestine during the last years of the British Mandate, Evelyn witnesses and also unwittingly becomes involved in the Jewish resistance against the British. Grant’s novel vividly depicts life in 1940s Palestine just before the creation of Israel. Listen to Linda Grant talk about When I Lived in Modern Times on BBC Radio, and read an extract from the book here. Israeli Jewish author Shimon Ballas, who was born in Baghdad in 1930 and immigrated to Israel in 1951, draws a fascinating portrait of Jewish diaspora life in Iraq from the 1930s to the 1980s. The novel, written in the style of a memoir, is told from the perspective of Haroun Soussan, a Jewish civil engineer and historian, who converted to Islam. Soussan, upon receiving an award from Saddam Hussein during the Iran-Iraq War, reflects on his life, interweaving the personal and the political and offering a wide-ranging portrait of contemporary Iraqi social, cultural, and political life. Author Shimon Ballas often felt like the eponymous outcast (or the ‘other’ of the Hebrew title of the book) and he discusses this sense of being out of place, as well as his writing, in an interview for Words Without Borders. Nicole Krauss’s novel interweaves the story of Leo Gursky, an elderly Polish Jew who came to the United States as a Holocaust survivor, with that of Alma, a teenager living in Brooklyn with her widowed mother Charlotte and her brother Bird, who thinks that he is the Messiah. Their stories are connected through a book entitled The History of Love, which Leo wrote about Alma, the love of his life. When he fled Poland, Leo had to leave Alma, and his novel, behind, entrusting the latter to his friend Zvi Litvinoff. What Leo doesn’t know is that Zvi published the book in Spanish in Chile under his own name. Krauss’s novel is a mystery book, a love story, and a tale about the connections between people across time and space. It was also made into a film in 2016 – watch the trailer below. Set against the backdrop of the Hebrews’ 40 years of wandering in the desert, Israeli Jewish author Shulamith Hareven’s trilogy rewrites familiar biblical stories – the Exodus from Egypt and the arrival in Canaan – from the perspective of outsiders and outcasts. In all three parts of her book – The Miracle Hater, The Prophet, and After Childhood – Hareven emphasises the personal experience of wandering and exile by depicting the suffering, hopes and fears of Eshkar, a marginalised shepherd; Hivai, a prophet who is no longer able to prophesise; and Salu, who is torn between the Hittites and the Hebrews in the conclusion to the trilogy. This book offers a refreshing perspective on stories familiar from the Bible and, read together with Hareven’s non-fictional work The Vocabulary of Peace, also rethinks the relationship between diaspora and homeland in the contemporary period. You can read Lawrence Joffe’s obituary, which summarises Hareven’s life and politics succinctly, here. Isabelle Hesse is Lecturer in English at the University of Sydney, where she teaches and researches in the areas of Jewish, Middle Eastern, and Postcolonial Studies.